Searching a portable and compact burning device for copying DVDs or CDs? 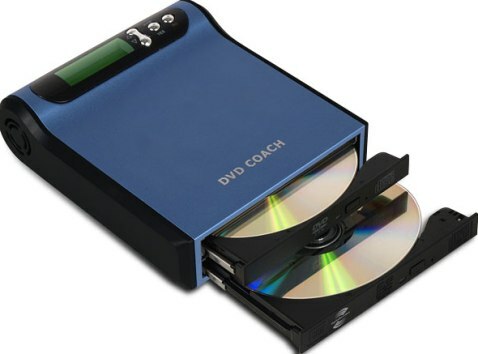 The provider of high quality and user-friendly duplication systems, EZ Dupe has taken care of your disc copying need with its new DVD Coach which the company claims as the world’s first ultra slim portable DVD/CD lightscribe duplicator with two disc drive trays, allowing you to copy DVDs or CDs without the need for a computer. The new EZ Dupe’s DVD Coch stand-alone disc duplicator which weights only 3 pounds is now available for about $450.